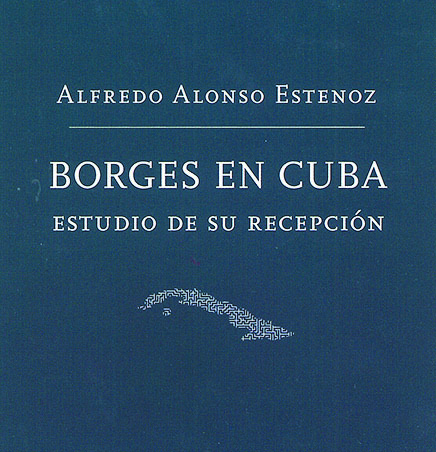 The cover of “Borges en Cuba: Estudio de su Recepción” written by Alfredo Alfonso Estonoz. Associate Professor of Spanish Alfredo Alonso Estenoz wrote and published “Borges en Cuba: Estudio de su Recepción.” The book, written in Spanish, follows the legacy of Argentinian writer Jorge Luis Borges in Cuba during the 20th century. In English, the title translates to “Borges in Cuba: Study of his Reception.” The book was published in September 2017. Born in 1899, Borges was a poet, short story writer, literary critic, and political activist. He is well known throughout Latin America and the world for his fantasy and science fiction works. However, in the tense political climate of the 20th century, reception of his work was not always positive. In many places, such as Cuba, Borges was criticized and his works were banned. Borges’ writings and legacy has interested Estenoz for a long time. As a result, Borges has been a subject in many of Estenoz’s classes including SPAN 460 Seminar in Latin American Literature and Culture / SPAN 346 Introduction to the Study of Hispanic Literature. Since 2006, Estenoz has served as the Associate Director of the Borges Center at the University of Pittsburgh and as the Associate Editor of the Center’s journal, Variaciones Borges. He has also published a number of articles and book reviews on Borges and his work. “Borges en Cuba” was inspired by an article Estenoz presented at the University of Pittsburgh in 2012 by the same name and was written as a part of his sabbatical research. According to Estenoz, part of his challenge in writing the book was locating primary sources, many of which are located in Cuba and are difficult to access. Between the beginning of his writing and publication — a two year process — Estenoz wrote two complete drafts of his book. The final version was published and distributed by the Borges Center and has since been distributed internationally and in the United States. Among the countries receiving copies is Estenoz’ home country, Cuba. In 1988, an anthology of Borges’s works — which had previously been banned — was published in Cuba. Since then, two more editions of this collection have been published. In light of this, Estenoz hopes his book will be well received, but anticipates some criticism. “Even though the cultural policies have become more flexible — and the proof of that is that Borges is now published in Cuba and you can talk about Borges freely — anything that criticizes the government directly or criticizes the cultural policies still is censored,” Estenoz said. Estenoz argues that Borges is still important for students to study today. He intentionally includes Borges in his own classes for this reason. Spanish major Will Simonson (‘19) took SPAN 346 Introduction to the Study of Hispanic Literature with Estenoz and said that he had a pleasant experience reading Borges. The parts of the literature class that Simonson enjoyed are parts that Estenoz values greatly. “Borges en Cuba: Estudio de su Recepción” is available for purchase in the Luther Bookshop.